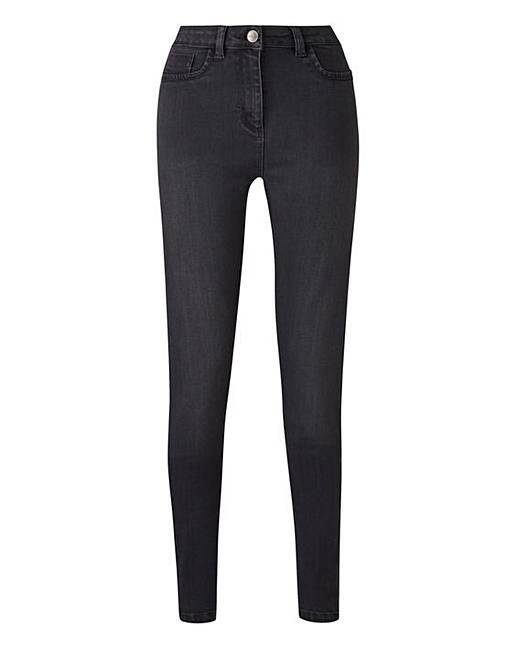 Grey Sophia Fly Front Jeggings is rated 4.6 out of 5 by 7. 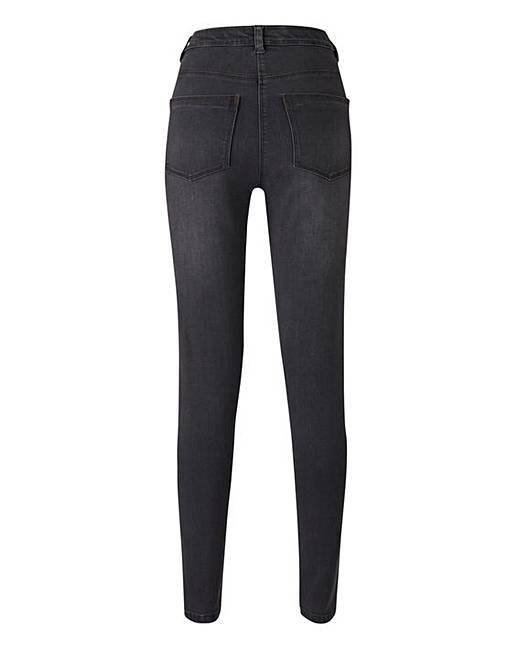 Designed to fit like a second skin, these Sophia supersoft stretch denim jeggings will be your new go to style staple. Featuring button-and-fly front fastening and mock front pockets, wear with a jersey tee and trainers to nail casual, everyday style. Rated 4 out of 5 by Moerytz from Nice fit Soft material, fit well on the body. Comfortable and looks very nice on. Rated 4 out of 5 by JoCat from Soft & comfy First time I wore these, they were really comfy, then I washed & dried them & they were still nice & comfy & the fit was great. Fast forward to the end of the day & I'm having to pull them up. Definitely size down, I chose my normal size & with the stretch in them, it makes them too big. I'd return for a smaller size only I've worn them. They really only last a few hours at a good fit but so nice. Size down, seriously. Rated 4 out of 5 by jinx from Great colour These were bought for choice but I was so impressed with the other as well I bought the other as well. Rated 5 out of 5 by SuzyQ from Fantastic Jeans I have 3 pairs an just live in them so comfortable even went down one size. Wash like a dream although waist band does get big but belt loops an all fixed with a belt. Wish more colors as just luv luv luv them.